When it comes to operating a business, customers play an indispensable role. After all, happy customers encourage more sales. And sales drive the growth of all businesses. If you cannot acquire and retain customers, you will not find yourself in business for the long-term. Money must be made for a business to remain sustainable. This means you must ensure that you are doing the necessary things to keep your customer’s patronage. This is a never-ending process, so you must invest in the value provided by your customer service for long-term success. With customer happiness in mind, you put your business in the position to grow on a consistent basis, rather than experience losses that make it impossible to make a profit. This should be the golden rule. If you want to build your customer base, you must provide products or services that they are happy with, even long after the purchase has been made. This is especially true if you are charging a premium for your products or services. Can you confidently say that your customers are being provided true value by your offer? If no, you need to improve your offer so that you exceed your customers’ expectations. This is very important as you are operating among competitors who are doing everything they can to capture the same market share you are trying to secure. The key to providing valuable products or services is having a complete understanding of your customer’s pain points. When you know the issues that need to be resolved and how to provide the best solution, it makes it a little easier to keep them happy. At the end of the day, your customers just want their needs met and to be treated like human beings. If you can accomplish this, you are moving in the right direction towards having happy customers and retaining them on a long-term basis. Also, be sure that your staff is trained to provide friendly interaction when dealing with your customers. Your employees are an extension of your business. As such, their words and actions can be a positive or negative reflection of your company’s brand. Be sure that your team understands the importance of providing exceptional customer service. This is so that they do not fall short of the customer service expectations you have set. The key to good communication is listening. It allows you to know how customers currently feel about your company and what their expectations are for your business. 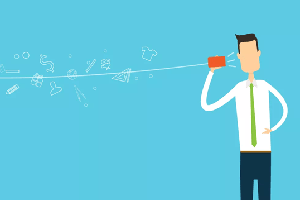 If you want to know how your products or services resonate with your customers, you need to ask them their opinion and listen to their feedback. Their responses will help you identify your business’s strengths and weaknesses, allowing you to promptly correct the issues. Customers love being listened to because it shows that your business is focused on keeping them happy. This is what separates the great businesses from those that are just average. And you will find that great businesses have no trouble acquiring and retaining customers, while average businesses struggle to do both. Be proactive when it comes to learning about how your customers view your business. Make this a consistent effort so that you do not become complacent and allow small issues to become big problems in the future. No matter how great your product or service is, issues will inevitably arise. When your customers are having problems with your business, do not just brush them aside. Respond to their request within 24 hours, and make sure you are polite during the exchange. 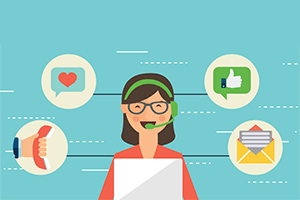 Most issues can be resolved with some effort, so there is no need to make the situation worse by being rude or ignoring the customer completely. 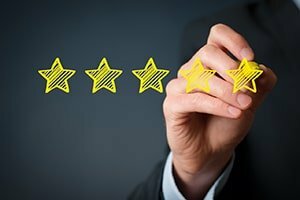 Nowadays, customer reviews are taken very seriously when it comes to people selecting what businesses to patronize. Therefore, you do not want potential customers to avoid your business because it has a string of negative reviews. Make sure that you have a team in place to answer the phones and respond to social media comments. If customers feel like they are being ignored, their complaints will become louder and more vicious. You do not need a situation such as this to occur because it will reflect poorly on your business. Therefore, it is very important to stay on top of any customer complaints. You can do so by solving issues quickly; in doing so, you will get happy customers. If you want to keep your customers engaged with your business, you need to provide them with valuable content that grabs their attention. This is done through blog posts and email marketing campaigns that provide both value and up-to-date information about your company. You want to position your company as an authority in your industry, which communicates to your customers that your business is the best. If you are not doing this, your competitors surely are. 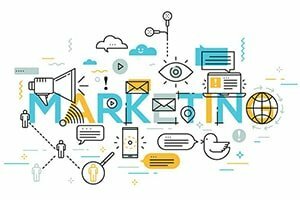 This is why industry-leading companies are investing more marketing dollars in blogs, social media advertising, and email marketing. They understand the importance of dominating the conversation. You must apply the same approach to succeed at retaining and attracting more happy customers. One thing to understand about content is that it takes a strategy to produce results. If you want your customers to buy, you need to create a content marketing strategy that nurtures them through your sales funnel. The blog is the “awareness” stage and email marketing is the conversion process. You need to make sure that your content strategy is well put together to produce the results you desire. 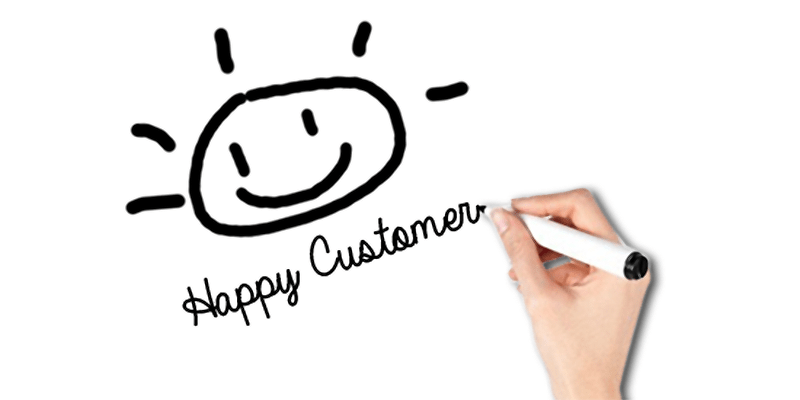 Happy customers play a crucial role in all businesses. Keeping your customers in mind is necessary if you want to build a business that can sustain long-term success. It is something that you have to work hard at every day because each day will bring a new problem to resolve. But if you are making solutions a priority, your customers will recognize your efforts and remain loyal to your business as a result. Focus on being the best provider in your industry, and do not over promise on things you cannot deliver. This will only cause problems in the long-run since you cannot meet the high expectations you have set. It is best to keep expectations low and over deliver so that customers are amazed at the value they are receiving. This is how you get happy customers. We provide customer-centric corporate solutions. As the leading corporate service provider, our full range of business solutions is personally customized to meet every client’s requirements.